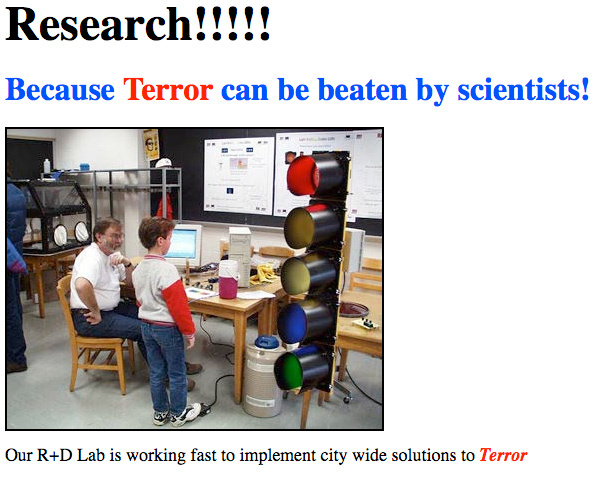 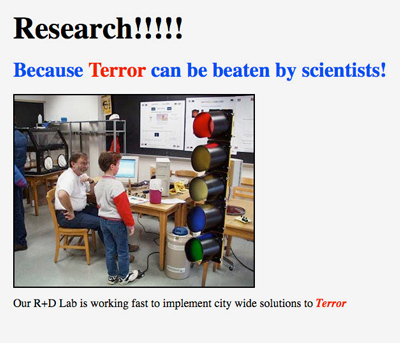 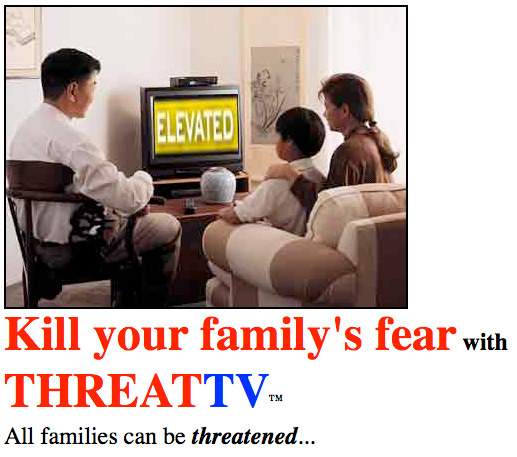 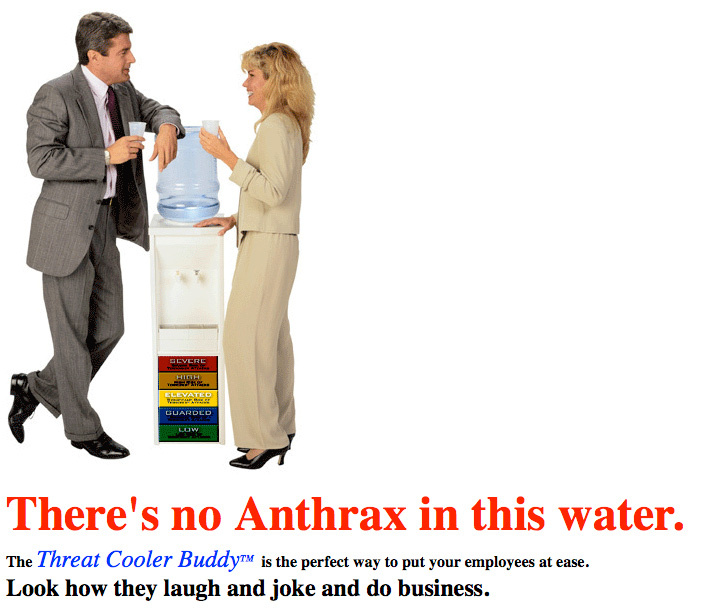 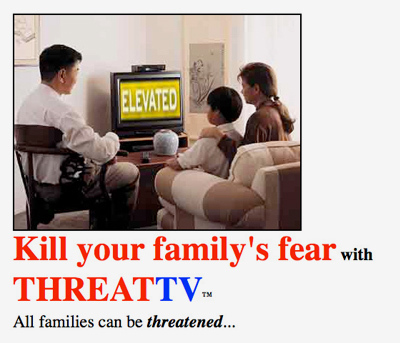 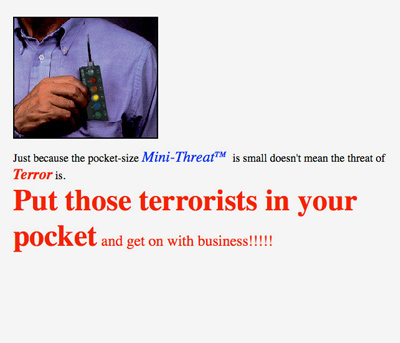 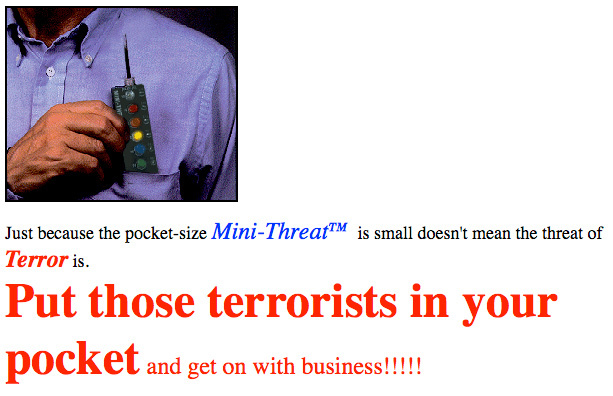 Threatmeter is an imaginary company, desperately attempting to profit from America’s fear of terrorism. 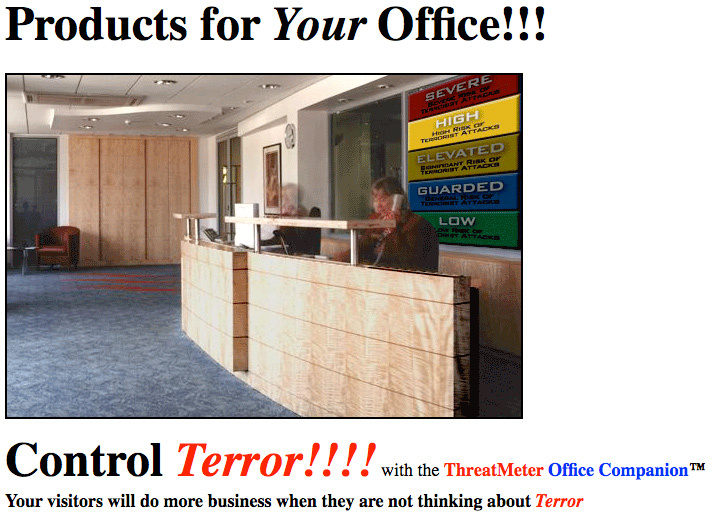 Threatmeter offers a range of satirical terrorism-preparedness products, including t-shirts color-coded to match the current “threat level” as specified by the Department of Homeland Security. 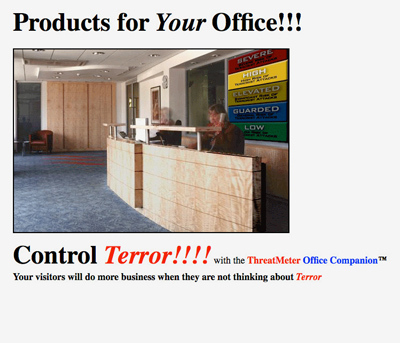 Threatmeter was created at Fabrica.